The next day or a day later, I found an even bigger stereo at a cafe, three floors underground. I sat there and wrote 20 postcards. I spend a lot of time when I visit a place looking for cool postcards. 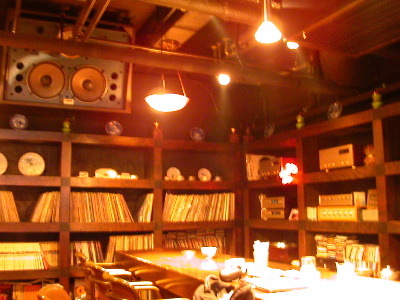 Note all the records, Japan is very into vinyl still.